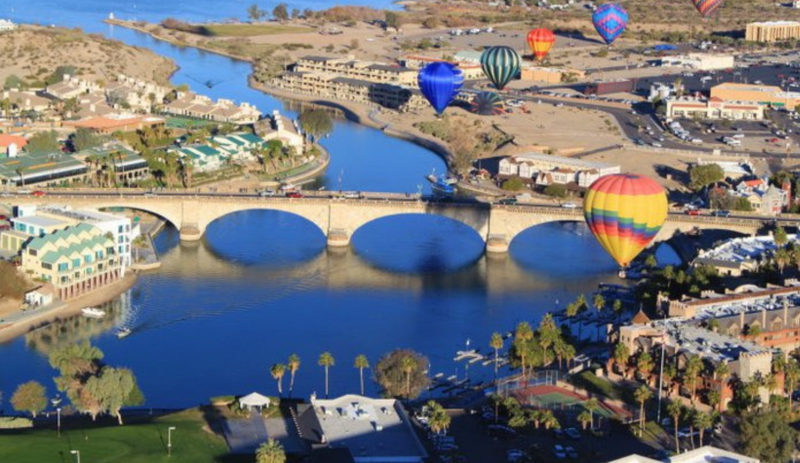 London Bridge Rotary is excited to be part of the 10th Annual Havasu Balloon Festival. Each year the Balloon Festival raises approximately $150,000, and the festival board disperses the proceeds to local service groups that are instrumental in the success of the festival. London Bridge Rotary is one of the service groups that benefit from the Balloon Festival proceeds because LBR club members donate their time and effort to make sure the Balloon Festival is a success. Recently the Havasu Balloon Festival dispersed the proceeds, and London Bridge Rotary received $30,000 from this year's event. The Balloon Festival has a tremendous impact on our community. Not just for the money it raises but also on the visitors who spend money in our city. Over 20 local charities are the recipients of the money raised during the January event. Do want to know more about the longest active Rotary Club in Lake Havasu City, Arizona? Visit here to read more about the impact Rotarian's have on our community and globally. Are you interested in joining Rotary? More information can be found here.